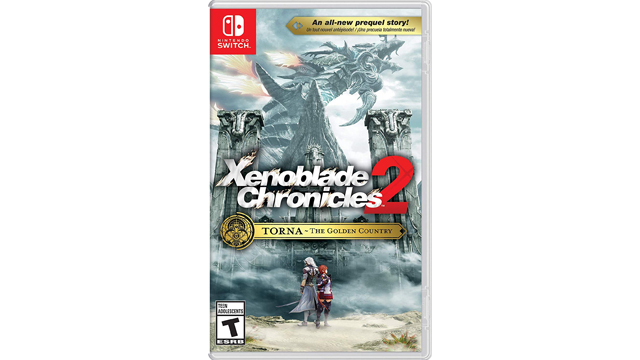 Left Alive for $40, Xenoblade Chronicles 2: Torna DLC for $33, Nintendo Switch Let’s Go, Pikachu! Bundle Back in Stock, and More. Released just last month and currently discounted for 33%. Jump into Square Enix’s stealth-based adventure with this deal for the PlayStation 4 version. Spice up your Switch dock with these colored light panels. The electronic base allows you to configure the colors to your liking. This particular deal comes with two designs, one from Breath of the Wild and the other from Super Mario Odyssey. Diablo on the go. Besides Black Friday, the price for this version of the game hasn’t dipped very often. Labo kits originally started at 70 bucks each but this deal drops each kit down to $40. No requirement to pick two of the three this time, you can grab just one if that’s what you fancy. VR Kit not included with these deals! Save a cool $50 off this 27″ LG monitor with a 75Hz refresh rate and an impressive viewing angle. 16.7 million colors and 5 MS response time. This Good Smile figurine is coming in next week and you still have a chance to preorder it with a discounted price. Soldier 76 is cool dude, get him into your collectibles shelf. Explore the Kingdom of Torna set 500 years before the events of Xenoblade Chronicles 2. The discounted price is nearly the same as the digital version of the DLC, but owning the base Xenoblade Chronicles 2 game is not required for the physical version. Comes with the Season Pass! Our review of the new 2019 Alienware Area 51m gaming laptop is hot off the press and we scored it an “Amazing” 9.2/10. The Alienware Area-51m is a true desktop replacement laptop in every sense of the phrase. The Area-51m is the first notebook with a socketed desktop CPU and a swappable GPU. Talk about a future-proof laptop. It’s well designed, exceedingly powerful, and kept up with anything I threw at it over the past two weeks. A good coupon for a new release Alienware flagship PC is usually very hard to come by, but for a limited time the two coupon codes below work for all Area 51m models.If you’ve been hunting for a great deal on one of the best desktop replacement laptops for gaming, your search has ended. According to our GTX 1660 Ti review, the 2019 release GeForce GTX 1660 Ti is close in performance to the GeForce GTX 1070 Ti or the RTX 2060. Combine that with an 8th generation Inel Core i7 6-core processor, 16GB of memory, and dual drives (128GB SSD + 2TB HDD) and you have yourself a killer rig. Score an RTX 2080 equipped Alienware desktop for $1399.99 following the instructions below. Stock specs include an Intel Core i5-8400 6-core processor, 8GB of memory, and 1TB HDD. The only recommendation I’d make is to add in your own SSD. SSDs are much cheaper than they used to be and it doesn’t void your warranty. The Alienware m15 is a redesigned and super-thin gaming laptop that’s offered with newer RTX graphics, or last-gen Pascal GPUs like this particular deal. At just 4.8lbs it’s relatively light given its payload, and still retains the no-expense-spared premium construction of its predecessor. It also features an advanced cooling system so the laptop never gets too hot or too loud. This deal pairs the m15 with the capable GeForce GTX 1060 video card. We reviewed the m15 and highly recommend it. The Lenovo Legion Y7000 laptop makes for a great portable gaming rig. It weighs in at about 5.1lbs, boasts plenty of cooling while keeping noise levels down, and boasts an Intel Core i7 6-core processor and GeForce GTX 1060 video card with the full 6GB of VRAM. That’s more than enough to power just about any game on its 15.6″ 1080p IPS display. If you want a laptop that can play current AAA titles, this is probably the least expensive laptop you’re going to get away with. The GTX 1050 graphics card will run the most popular games like Fortnite, PUBG, League of Legends, and more. You’ll have to scale the settings down for more intensive titles like Battlefield V, Fallout 76, and Assassin’s Creed: Odyssey but you’ll still be able to play them, which is impossible with onboard graphics. The Void Pro wireless model normally sells for $100. This premium wireless headset features 50mm drivers Dolby 7.1ch surround sound, memory foam earcups, built-in microphone, 16hr battery life, and subtle RGB LED effects. This Certified Refurbished product is tested and certified to look and work like new. The product ships with all relevant accessories, a minimum 90-day warranty, and may arrive in a generic box. This is the lowest price I’ve ever seen for the Yeti USB mic and it is easily the best USB mic under $100. The Yeti features a 3-capsule array with multiple pattern selection (cardioid, bi- and omni-directional, and stereo), has a versatile USB input instead of XLR, headphone passthrough, and is mostly made of solid metal. This is an excellent mic for Twitch or YouTube use. This sponsored deal is brought to you by BodyBuilding.com. BodyBuilding.com is celebrating its 20 year anniversary by offering all of us a 25% off coupon that works on the entire site. That includes Optimum Nutrition Gold Standard 100% Whey Protein Powder, BCAA Energy Powder, JYM Pre-Workout Powder, BSN Syntha-6 Protein Blend, and much, much more. There are no exclusions, and you also get free shipping over $79. Here’s a nicely equipped 1080p-gaming capable laptop that has been discounted by $200 starting today. You’re getting an 8th generation Intel Core i7 6-core processor, GeForce GTX 1060 3GB video card, 8GB of RAM, and 1TB hard drive with 16GB of Optane memory. To get this deal, simply buy one 3-month pass and you’ll get a 2nd 3-month pass emailed to your account. Xbox Game Pass gives you unlimited access to a huge library of Xbox games. You’re free to play them when, where, and how often you want as long as your subscription is still active. Current popular titles include State of Decay 2, Sea of Thieves, Gears of War 4, Warhammer: Vermintide 2, Rocket League, Fallout 4, and much much more. Dell is now the only online vendor where you can get the free $35 in Nintendo eShop credit when you buy a Nintendo Switch. The credit can be redeemed for digital games at Nintendo’s eShop. Now that the new 2019 iPads have been announced, the 2018 iPads are seeing a 25% price drop. This is cheaper than what we saw on Black Friday. The 2018 Apple iPad boasts a 9.7″ Retina display, A10 Fusion 64-bit processor, dual cameras, 10-hour battery life, and Apple Pen support.